I am going mad with this crawling sensation! For the last 2 months I have felt a crawling and itchy sensation all over my body. My head, legs etc. but cannot see a thing. My partner does not get them as much. I have moved out of the house as it seems they are all over the place. The place was sprayed and bombed - worked for a day. We then moved to a hotel for the short term. The place was infected. The car now has them. All being sprayed again. I bought new clothes. Today I put on some clothes that were in the cupboard and I started itching like crazy. The dog is also scratching non stop (she is female). Tea tree oil seems to help, but not eradicate. I'm glad to hear that you are using the Tea Tree oil because it is anti-parasitic and is often helpful for external parasites. You haven't seen any bugs apart from that one speck you saw? Can you see anything on your dog? Do you have a rash or anything (apart from marks from scratching)? You said your partner does not get them as much. Is he getting them at all? It wouldn't be unusual for you both to be experiencing the same thing if you are intimate. Parasites are much more contagious than people realize. However, sometimes one person is affected and the other doesn't seem to be bothered. The difference may be something as simple as the strength of the immune system. Believe it or not, a crawling sensation on the skin can sometimes be from internal parasites rather than external parasites. That's why I asked if you are actually seeing any bugs. Have you ruled out fleas? Bed bugs? Sand flies? These are all visible to the naked eye. If you are being as careful as you can about re-infestation and cleanliness of bedding, clothes, linens, etc., and you are still having troubles that seem to follow you around, I suspect the problem may be internal. give yourself an internal cleanse. I always recommend Herbal Fiberblend as a good natural herb intestinal cleanse. You just mix it in water or juice twice per day for several weeks (I'd suggest 3 months for a thorough cleanse). You'll probably notice a difference within days, although some people get a little worse before they get better or have good days and bad days as the body goes the process of eliminating parasites and toxins. That's normal when detoxifying the body. You should also get some good probiotics to build up the good bacteria in your body. This helps to fight against any parasite, fungus, or bacteria that may be lurking in your system and giving you this grief. A good combination of probiotics is Florafood which will help to build up your immune system. If your partner is experiencing any of the symptoms, he should also cleanse and build along with you so that you don't keep passing it back and forth. Do you like garlic? Try to eat it more often as it will probably help too. You can rinse your hair with some organic apple cider vinegar (dilute it with water if you like) to help the itching on your scalp. Raw, organic apple cider vinegar is also safe to be used in a spray bottle (diluted if you prefer) to spray on your dog to help her itching and soothe her skin. You can even add a teaspoon to her water bowl each day to improve her resistance to parasites (internal and external). Since you are in Australia, you can order the HFB and Florafood using the Australia order form and get free shipping on your first order. If you decide to commit yourself (and your partner) to a full 3 month cleanse, order the 6-pack of Herbal Fiberblend which would be enough for 2 average-sized adults for 3 months. The organic apple cider vinegar can usually be found at a local health food store in your area. If you have any questions, feel free to phone me. My number is on the order page. P.S. Please realize that I am not saying you definitely have internal parasites. I can't "diagnose" you. :) I'm just suggesting it as a real possibility for you to consider. There certainly could be some other explanation for your reactions. This crawling sensation is real. you feel them crawling around in your cloths. The spots you see in the shower come from tiny unknown bugs that are in Mulch, yes the mulch that they are spreading everywhere today. You cant get away from it. Its around restaurants, doctors offices,you name it, you even bring it to your homes to make your lawn look good. It sounds crazy but its true. I have been going through this thing for seven years now. I found out what is was by accident. I stepped off in mulch one day while I was washing my porch off and I could not get to the shower fast enough. I would bomb my house and thirty minutes later I would feel the crawling again. Each time you walk past the mulch you are picking up these bugs and carrying them into you home. Infesting your home. People will call you your crazy and tell you its all in your mind but, I'm 80% better now. I immediately had the mulch removed from my home. It took me several tears and years to get the bugs out of my home, as they had gotten inside my wood floor. They were all in my furniture. It was truly a nightmare. I had to stop talking to people about what I was going through, because they all thought I was loosing my mind, so did I at a point, unless you are experiencing this you wont understand. I am willing to help anyone going thru this issue because its a terrible experience and we need to help one another through this. Borax and water softeners cause crawly skin for me. I can only encourage you to give your body a very aggressive internal cleanse with Herbal Fiberblend to try and rid your body of this chronic crawling sensation. I'm talking about a bare minimum of 3 months of daily use. 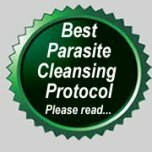 Frankly, if I was in your situation I would also follow the full parasite cleansing protocol so that you boost your immune system at the same time. 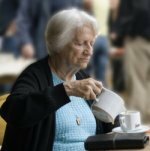 The fact that you have been suffering with these symptoms for so long is usually a good sign that there won't be a quick fix. You'll probably need several months of faithful attention to cleansing and building to eliminate the problem and get your body in a healthy condition. Itching and Crawling Sensation, etc. What a nightmare! I know what you are going through because I experienced something similar about 16 months ago. I tried the scabies cream too, even though I was pretty sure it wasn't scabies, but I was getting desperate. Shame on me for waiting so long to take my own advice and cleanse from the inside! After suffering for several weeks I started using Herbal Fiberblend faithfully twice per day and it started improving immediately and was completely gone within a couple of weeks. I don't know if what I had was the same as what you've got, but it sure won't hurt to give the HFB a try. I hope it helps and that you are as successful as I was. My whole family has this itching /crawling sensation ..we've had it for 6 months sooo far!..went to the doctors i said i thought it was scabies...gave us all the cream and went hom and did the whole process with cleaning and bathing and puting on the cream and washing it off in the morning ..still itching after that and bumps coming up here and there. got the cream again nothing!..asked for the pill stromectrol...nothing!..all this in 3 months time. ask for the pill again because they say it might take 2 times to get rid of it. nothing. so i looked on line got tea tree oil..bathed everyone in the and cleaned everyday..seem to help for an hour or soo but did not kill them..tried natursil got 2 orders of the family pack did all that. thought it was over and now it s back!...i'm thinking it might not be scabies?. why wouldn't all that kill it? oh forgot to say i also tried hydrogen peroxide and borax in the bath tub..and used borax for washing the clothes...what do i do?..what is this>?..help! Not sure why no one has mentioned scabies b/c that's what this is. Invisible mites that feed on hair follicles. the black stuff that comes out of the skin is their feces and the clear sand/glittery particles are exoskeletons. Itching is caused by allergic reaction to the stuff coming out. Read up on it. Doctor should be able to prescribe a lotion/cream to kill them. At least that's what they say. 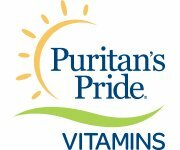 It sounds like you are taking some great supplements that are helpful in supporting your immune system. Can you think of anything that you changed recently - something in your diet? Soap? Laundry Detergent? Cologne? Anything that you may be having an allergic reaction to? It's possible that you have an internal parasite or a reaction to some toxin that your body is trying to eliminate, but it is very difficult to pinpoint the exact cause. A herbal cleanse certainly won't hurt and it has a good chance of helping. I'd suggest Herbal Fiberblend. Let us know how it works for you. thinking it's somthing internal. Please Help me, I'm open to any advice, a body cleanse- whatever, this sensation and bumps but no itching, are so annoying everyday!! God Bless!! These things do not come from leather furniture - but they DO seem to be able to stay on them forever - unless you borax spray it or cover with insecticide. I would suggest taking some clear selotape and sticking it on your face/body when you feel some crawling. Then seal the sticky side and examine closely with a magnifying glass - or better still a microscope. We have got to identify these damn creatures! When you medicate yourself you also need to borax spray and insecticide the CAR, OFFICE - and HOME ENVIRONMENT. Also your clothes, bedclothes, towels, furniture and most visited places. Kitchen table. Computer table. No compromises. You may need to throw away leather clothes as these things live in suspended animation - like ticks - for years on end. Clothes soaked in a borax bath, then on a HOT wash, then HOT tumble dry - then steam ironed inside out! Lots of people are experiencing the same thing you are describing. It sounds to me like the only common denominator is the leather couches. If they are genuine leather, they of course would come from animal skins. It's possible that something in the animal skins themselves, or some chemical or other additive used in manufacturing your leather couches is causing the problem. I'm sure you hate to waste the money, but I'd be getting rid of the leather couches if that seems to be the only source of your itching, crawling sensation. i searched the whole internet. read millions of articles nothing seems to say what do we have here. i get this itchy, tingling, crawling feeling on the skin. like other people say we dont see anything at all. but for sure its not inner thing because it happens to everyone who comes to 2 places: our couch at home and half of my office at work. same in my office. half of it where my desk is is kinda ok but the othere half where a fake leather couch is ...is realy itchy. the whole area around it. if anyone comes after a while they start to here and there cratch or touch and rub their face, and hands. all uncovered parts of body....its very irritating and embarrassing. i have2 dogs. they take special thing against fleas, mites and heartworm so i think it is not from them. we cleaned the couch with CIF and water and leather cleaner and left on the sun,....it didnt help or if yes just little bit. some days it itches less some days more. my office all the time same. we have no carpets, no old thing. one couch is only 1 year old. the other 4years old. what could it be and how to get rid of it? its so awful when clients come to my office and i see them after a while scratching. It doesn't really sound like your crawling sensation is flea related, unless you are perhaps allergic to fleas. I can't tell you for sure what it IS from, but you've mentioned a few possibilities yourself. You may have picked up a bug while camping, but I'd be inclined to think it is more related to the long term digestive issue you mentioned - gas problems. You may simply need to use digestive enzymes, like AIM's Prepzymes, to aid in your digestion and eliminate the gas problems, but I'd suggest an herbal cleanse with Herbal Fiberblend at the very least. Just because your bowel test came back fine, doesn't necessarily mean you don't have internal parasites or toxic build up in your colon. Those are the first steps I would personally take if I were you. I'd keep on taking the apple cider vinegar too (raw organic kind) on a daily basis. I to have crawling skin. Nothing is there when i look and sometimes i'm staring right at my skin while it feels like something is crawling through the fine hairs. My cat did get a small amount of fleas and just about 3 days later i gave her the once a month flea medicine.She seemed better i had only seen 2 fleas on my bed. Just a couple of days later i started getting this crawling feeling. I have treated the floors with the mixtures suggested all over the Internet and layed down salt. Changed all of my bedding, vacuumed. Washed my self with soap and baking soda and put on olive oil all over. I can still feel it. Although at the same time i did see to new baby fleas on my ankles assume it had just came from my carpet. But again nothing anywhere on my body. I was trying to research if flea larvae can be in your skin. Since my cat did have fleas i'm thinking it's associated with that. As appose to an external or internal parasite even though that's what it seems like. I will say i did just go camping about 3 weeks ago. Funny enough i recently started taking a pro biotic, it's been about a month. And started running everyday while drinking smoothies that i'm sure have lots of natural sugar, i even add apple cider to them, and a raw a egg. So i should be pretty healthy in terms of internal parasites. Although the reason why i was taking pro biotics and apple cider and the occasional gas vitamin, is because i've always had gas problems. But i had my bowels tested in the past. So if i'm not seeing fleas on my body what is it, are living in my skin and hatching? Or is it not flea related? My next step is the tea tree oil, but i'm not even sure what i'm fighting. It's been a week.